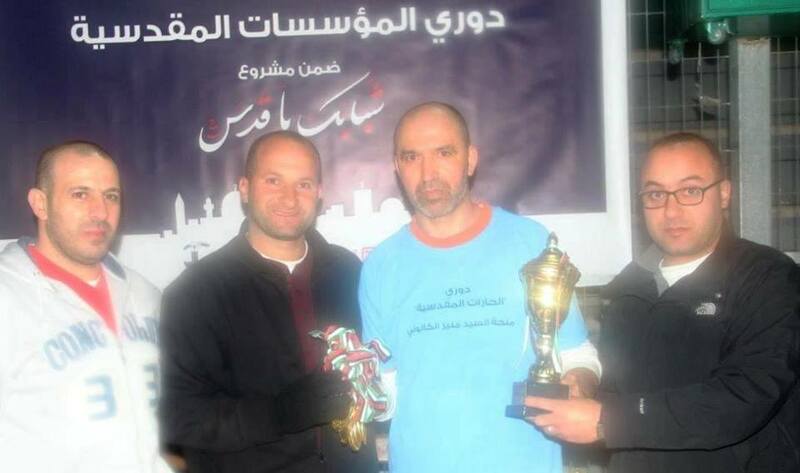 Burj Al-Luqluq Social Center organized the second edition of the Organizations Tournament on Thursday 19/01/2017 within Shababek Ya Quds 2 project funded by the Jerusalemite businessman Munir Al-Kalouti and supervised by the Welfare Association. Four Jerusalemite organizations participated in the tournament; the Electricity Company, Al-Quds Newspaper, the Palestinian Academy for Talented Footballers and Burj Al-Luqluq Social Center Society. The winning teams were honored at the end of the tournament as Burj Al-Luqluq won the first place, Al-Quds Newspaper came second while the Electricity Company came third.